The man accused of murdering British backpacker Grace Millane has appeared in court for a second time - and pleaded not guilty. His name remains suppressed until at least the end of the month. The now 27-year-old Auckland man is accused of murdering Millane between December 1 and December 2 last year, according the court documents viewed by the New Zealand Herald. The university graduate came to New Zealand in November last year as part of a year-long solo OE. She arrived in Auckland just days before she was killed. 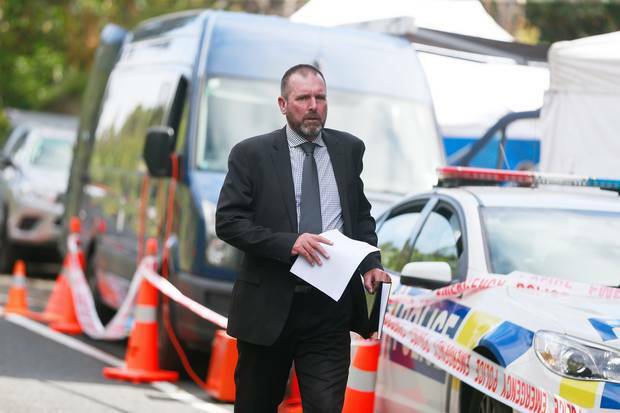 The man accused of killing her appeared in the High Court at Auckland this morning. Justice Simon Moore set a trial date for November 4. He reiterated the strict suppression orders around the case. Millane was last seen alive on CCTV entering CityLife Hotel with the man accused of murdering her on December 1. According to court documents, he was living at the Queen St hotel. Millane's body was found in a section of bush just 10m off Scenic Drive in West Auckland's Waitakere Ranges on December 9. She would have turned 22 a week earlier. A post-mortem examination was completed but police have not released details. The New Zealand Herald later reported the London newspapers' explanations for naming the accused, after objections by a close friend of the Millane family. "Whist the Telegraph takes into consideration the laws of other countries when it comes to naming suspects/those charged with a crime and the names of victims of crimes we should stress that the law in New Zealand does not apply to our reporting," the paper replied. Internet behemoth Google then breached the order when it named the accused in its "what's trending in New Zealand" mass email to New Zealand subscribers. The email also said there had been more than 100,000 searches on its search engine of the man's name. Social media platforms such as Twitter and Facebook were also disseminating the man's name. The Google breach led to a meeting with New Zealand's Justice Minister Andrew, Attorney-General David Parker, and executives from the Silicon Valley-based company. Little also rebuked the UK media for naming the man - which he said could heap more misery on the grieving Millane family. "I think it's unfortunate the British papers have done what they've done. It will not do justice to the Millane family if the accused in this case gets to walk away from facing justice because somebody else has disclosed his details," said Little. They confirmed Millane's body was found intact but will not be drawn on any further details of her death. A funeral was held for the slain tourist near her hometown in England last week. Her father, David Millane had earlier said his "whole world turned upside down" when she went missing. "Grace was not born here and only managed to stay a few weeks, but you have taken her to your hearts and in some small way she will forever be a Kiwi." A relative of the accused spoke to the Herald in December. The current suppression orders mean the relative cannot be identified. The relative said their entire family were also broken-hearted - and they were sorry for the Millane family's loss. After the family of the accused learned of the murder charge they hardly slept because of the anguish, the relative said. When the accused first appeared on the murder charge in the Auckland District Court he was declined name suppression by Judge Evangelos Thomas. However he was able to keep his name out of the New Zealand press after his lawyer indicated an appeal - automatically imposing a 20 working day suppression order under New Zealand law. Late last year Justice Simon Moore ruled that the appeal period, taking into consideration the closure of courts over Christmas and New Year, would end on January 31. However after the first court hearing British media flouted the suppression order and named the accused in its papers, online and on-air.